a) Ferry/Hydrofoil (fast boat) travel companies every year announce their time schedules on the 1st of May. Then there is a change on these time schedules usually in the first 15 days of June. Many Skopelos’ – Alonissos travellers book their accommodation and on May or June they book online their tickets. There is also water taxi service from Skiathos island to Skopelos by appointment. 150,00 up to 4 persons and every extra person +20,00 euro. 20-25 minutes to Skopelos (Glossa-Elios-Adrina-Panormos). We can arrange also the taxi from the airport to his water taxis. Taxi costs 12,00 euro by appointment, 8,00-9,00 euro without appointment. c) For travel in July and August we strongly recommend that you book round trip tickets well in advance. Reservations changes incur a fee. d) Skopelos island has two ports – Glossa (or Loutraki) & Skopelos Town. It is advised that you check with your accommodation provider which one serves you better. The two ports have different ticket price. e) There are daily transfers from Aghios Konstantinos and Volos to Skiathos – Skopelos – Alonissos. f1) There exist daily itineraries from Ag. Constantinos by Hellenic Seaways or Aegean Flying Dolphins via speedboats or ship. For the routes managed by Hellenic Seaways, you may contact the agency: Alkyon Travel, 97 Akademias st., Kanigos Square, +30 2103832545. For the routes managed by Aegean Flying Dolphins, you may contact the agency: Jeta Tours,54 Nikis st., Syntagma Square, +30 2103227353. Both agencies, provide a bus service to the port, from which the Ship or Speedboat departs. In the case that you do not wish to purchase your tickets from downtown Athens,(which necessitates that you go downtown for your tickets, some days in advance of your departure), we suggest, that you contact the agencies located on the port of Ag. Constantinos for a reservation: Alkyon Travel, +30 2235031989 or Bilalis Travel, +30 2235031874. 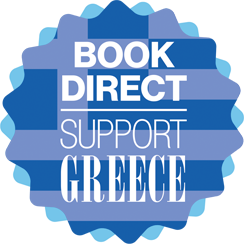 These agencies may contact the Athenian agencies, are arrange for your bus ticket to the port. The bus ticket, will be available for you, in either Syntagma or Kanigos square agencies. There is the possibility of a stop for boarding on the national road (Kaliftaki Stop), which is convenient for travelers, located on the Northern Suburbs, but requires previous confirmation. If you are travelling by car, you can make a reservation with the Ag. Constantinos agencies, and you may pick your tickets up, as soon as you arrive there. f2) From Mantoudi, you may board a ship managed by ANES ferries (http://www.anes.gr). You may reach Mantoudi via a connecting bus from Athens. f3) From Kimi, you may board a ship, managed by SNE ferries ( http://www.sne.gr). g) The secure way to go to Thessaloniki is through Volos port which there is daily correspondence from Skopelos. You can go from Thessaloniki to Volos or the opposite by renting a car from www.avis.gr. You will deliver the car to Volos and then when you depart you will deliver the car to Thessaloniki. h) If you intent to take the train to Volos use only the Intercity train!!! Only the IC goes directly to your destination without many stops and train changes. a) Chartered flight to Skiathos – Taxi to Skiathos port (5 min) – Boat or Hydrofoil to the island of Skopelos – Alonissos. b) Chartered or scheduled flight to Athens – Domestic Flight to Skiathos airport (35 min) – Taxi from the airport to Skiathos port (5 min) – Hydrofoil to port of Glossa (20 min) or Skopelos (up to 45 min). c) Chartered or scheduled flight to Athens airport – Taxi to Akadimias St. 97 at Alkyon Travel Offices. The Minoan Lines Offices are situated there and a tourist coach departs in time for a connection with a hydrofoil from the port of Aghios Constantinos. – Boat or Hydrofoil to the island of Skiathos – Skopelos – Alonissos. d) Chartered or scheduled flight to Thessaloniki – bus or taxi to Thessaloniki port – Boat or Hydrofoil or boat to Skiathos – Skopelos ports. e) Chartered or scheduled flight to Thessaloniki – bus or railway to Volos port – Boat or Hydrofoil or boat to Skiathos – Skopelos ports. f) By private car via Italy (to Patras or Igoumenitsa) – across Greek mainland to port of Aghios Konstantinos – Boat or Hydrofoil or boat to Skiathos – Skopelos – Alonissos ports. g) By private car via Italy (to Patras or Igoumenitsa) – across Greek mainland to port of Volos – Boat or Hydrofoil or boat to Skiathos – Skopelos – Alonissos ports. a) From Athens to Skiathos by air takes 35 minutes and from Skiathos to Volos by Flying Dolphin takes 1 hour and 30 minutes and by boat 2 hours and 30 minutes. b) From Athens to Aghios Konstantinos: Bus or taxi to Alkyon Travel, 97 Akademias Street, Kanigos Square, Athens. Board agency coach to Port of Aghios Konstantinos and connect with hydrofoil or ferry boat to the ports of Glossa or Skopelos town. c) From Athens to Volos by road with the KTEL (National Coach Company) coach takes about four hours (Distance in km Athens-Volos: 324) – Boat or Hydrofoil to Skiathos – Skopelos – Alonissos. d) From Athens to Volos by train on the Intercity takes 4 hours and 30 minutes – Boat or Hydrofoil to Skiathos – Skopelos – Alonissos. e) From Thessaloniki to Volos by KTEL coach takes about 3 hours (Distance in km Thessaloniki-Volos: 216) – Boat or Hydrofoil to Skiathos – Skopelos – Alonissos. f) From Thessaloniki to Volos by train takes 3 hours – Boat or Hydrofoil to Skiathos – Skopelos – Alonissos. g) From Thessaloniki port (Only June to mid September and not every year) – Boat or Hydrofoil to Skiathos – Skopelos – Alonissos.